A TINY puppy with badly bowed legs was found cruelly dumped “like rubbish” in a cardboard box as she was left to battle on her own without her mother. The adorable puppy was left helpless at a bus stop in her hour of need – most probably because her owner did not want to pay to have her legs treated. Nicknamed Twine by rescuers because she had a piece of bailer string tied round her neck, the young jet black puppy was only five weeks old, an age when she should never have been separated from her mother. Orthopaedic specialists are treating Twine’s deformed legs with the hope that she makes a full recovery like another cardboard box dumping victim called Hockney who has just been put up for adoption. 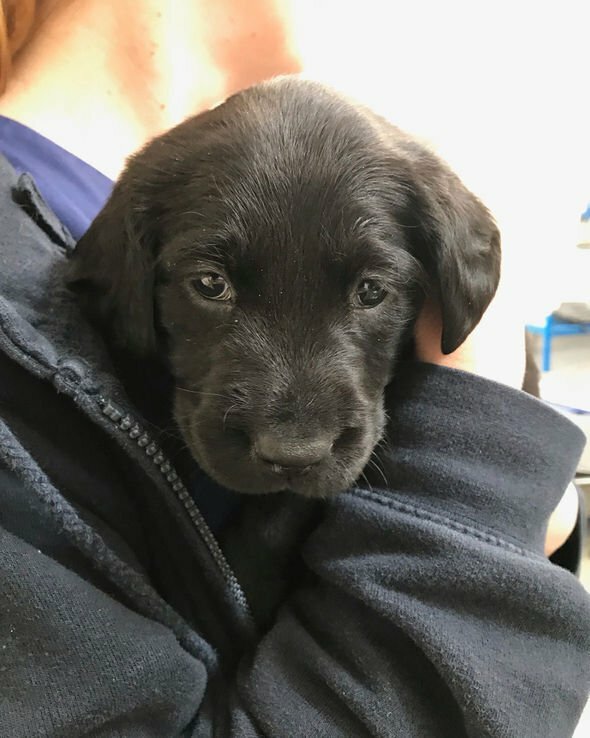 A sharp-eyed member of the public saved Twine after finding her recently inside the box left near a bus-stop on Bath Road, Hungerford, Berkshire, and rushing the puppy straight to the vets. 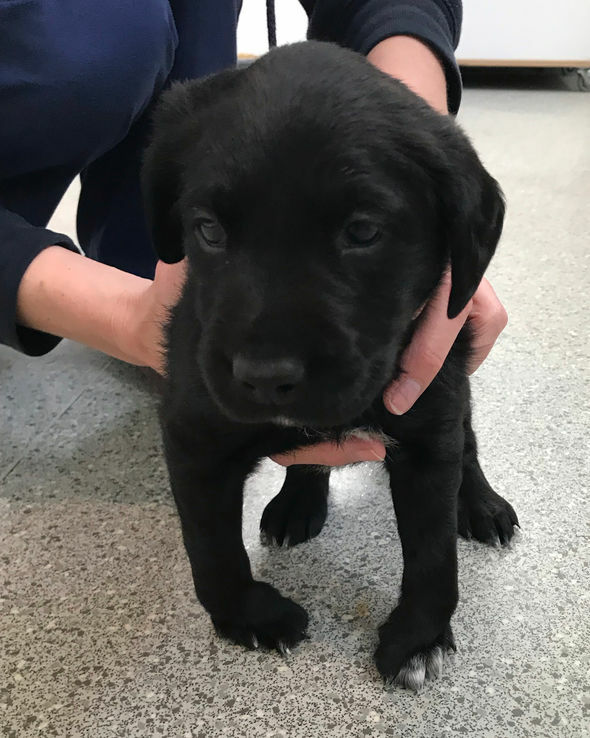 RSPCA Inspector Sharon Chrisp, who is investigating the callous abandonment, said: “This poor pup had simply been thrown away like rubbish, left alone and unwanted at the roadside. “It’s shocking that someone has just cruelly dumped such a young dog in her moment of need. Images released by the RSPCA show how Twine’s front paw are twisted but she is receiving expert help. Inspector Chrisp continued: “Twine has deformed front feet that turn inwards and is now getting the care she needs from an orthopaedic specialist at an RSPCA animal rescue centre. As the RSPCA today appealed for anyone who knows anything about Twine to contact its confidential hotline – 0300 123 8018 – another cardboard box puppy has been making a remarkable recovery. I cannot write what I feel here. I so hope what goes around comes around .